One of the few CDNP estates to use all permitted varieties, this served Vincent well in 2013 where Mourvèdre and Syrah came to the rescue of a less productive Grenache. It comprises 55 percent Grenache, 30 percent Mourvèdre, 10 percent Syrah and five percent of other varieties (Counoise, Vaccarèse and so on). I tasted through a numbers of foudres of different coopers and age which had already seen six months élevage and will see another six months ageing before bottling. Upon tasting an assemblage of all those foudres it became obvious that the higher presence of Mourvèdre is positively felt on the nose with firm black berries mingling with small, black olive notes, and lovely mixed spices on the back palate. A beautifully hedonistic wine which might not have the power of past vintages but which, at 14.8 percent, is certainly not fragile or lacking in mouth feel and body. The Grenache has managed to make a most valuable contribution, adding freshness and a Pinot-like silky quality to the tannins. Fine Wine Team The Papal indulgence in 2013 comprises 55 percent Grenache, 30 percent Mourvèdre, 10 percent Syrah and five percent other varieties (Counoise, Vaccarèse and so on) The higher presence of Mourvèdre is positively felt on the nose with firm blackberries mingling with small, black olive notes, and lovely, mixed spices on the back palate. A beautifully hedonistic wine which might not have the power of past vintages but which, at 14.8 percent, is certainly not fragile or lacking in mouthfeel and body. The Grenache has managed to make a most valuable contribution, adding freshness and a Pinot-like, silky quality to the tannins. 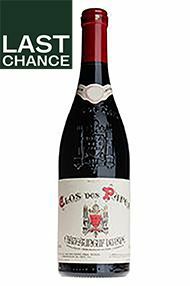 Clos des Papes is now the address in the village of Châteauneuf-du-Pape – indeed, many would contend in the whole Rhône Valley. The great work started by Paul Avril has now been continued by his son Vincent, one of the most widely-travelled, generous and gifted vignerons in France. The multiplicity of sites, allied to the minute yields (13.5 hectolitres per hectare is hardly commercially viable) have ensured that in 2013 the difficult conditions, especially for the Grenache, have been circumnavigated. In a year when Mourvèdre was on occasion harvested before Grenache, it comes as no surprise that the former takes up a higher percentage of the wine than usual-30 percent Mourvèdre compared to 55 percent Grenache, the latter of which usually accounts for 60 percent or more. The harvest was eventually finished on 18th October and Vincent compares it to 2004 and 2011, the earlier year drinking exquisitely now, the more recent one still far too young to appreciate fully but not lacking in potential. 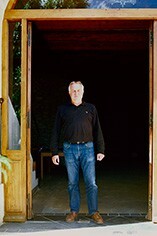 Vincent’s wines are symphonic in scope but precise in detail. The Wine Advocate - Tasted out of bottle, the 2013 Chteauneuf du Pape comes from miniscule yields of 13 hectoliter per hectare (25-39 hectoliters per hectare is normal for the appellation), and hits 14.8% natural alcohol. It has a darker, slightly more concentrated, austere feel than the 2014, and has ample kirsch, blackberry, peppery and crushed rock-like aromas and flavors. Vincent commented that he thinks this vintage will shut down after a few years in bottle, so if youre going try one in its youth, find the corkscrew. While obviously not a great wine, its certainly outstanding and has considerable charm and elegance. It will also have 10-15 years of overall longevity.